Since I'm just a butterfly beginner, everything that I see is interesting and new. I believe this is a Gray Hairstreak, Strymon melinus. I captured this image last Friday afternoon, August 27, on the Delaware Wildlife Area. Hi Tom...I guess I missed this post ..probably because I hate spider and I did not want to see that one you posted !! This is a nice picture... beautiful butterfly !! 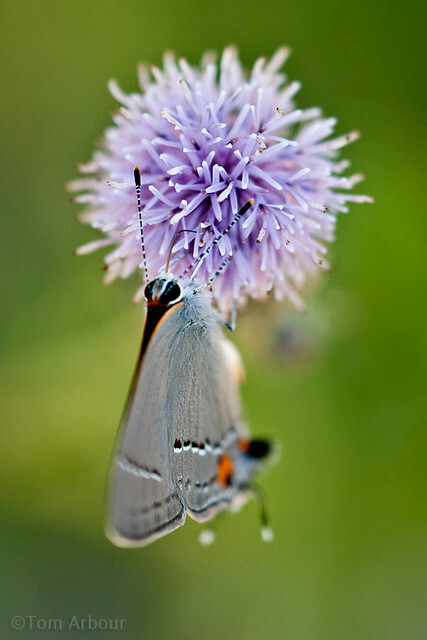 This was the first year that I saw the Gray Hairstreak and like you wasn't sure what it was. It's a neat butterfly! Wish I could get some better shots of it. This is very nice!